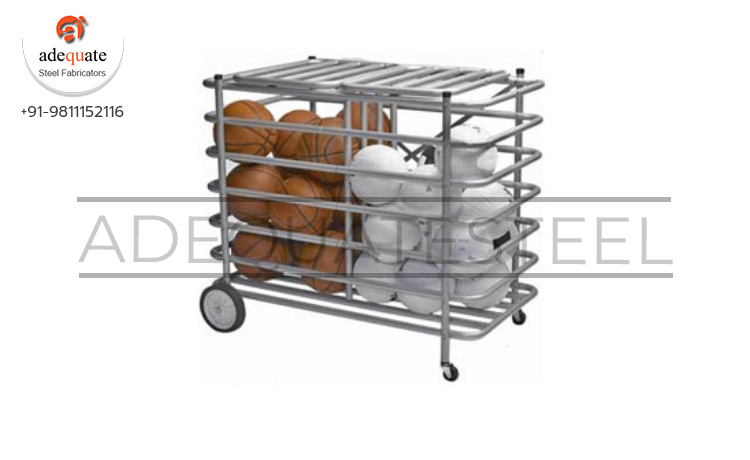 True to the name of the racking system, the Supermarket Ball cage racks are used all round for display of products. These are one of the optional choices of racks which you may not see in all supermarkets but can be seen in those where there is space for displays of special items and such racking solutions, in other words, these can be found prominently in bigger supermarkets where space isn’t a constraint. These are center racking systems very similar to the center gondola racks where customers are free to access products on display from all sides. These are also termed as four way display shelves. Adequate Steel offers these shelves in an elegant design that promotes the products on display very prominently. It is pertinent to note that the products on display on the Supermarket Four Sided Racks are mostly those goods that require special attention such as product promos, special offers and discounted products. Such racking systems apart from the supermarkets are also popular in other retail markets such as textile, electronics market, etc., where there is an increased need to display special items prominently. More often than not, these racks can be found near the entrance of the supermarket or stores to attract attention.